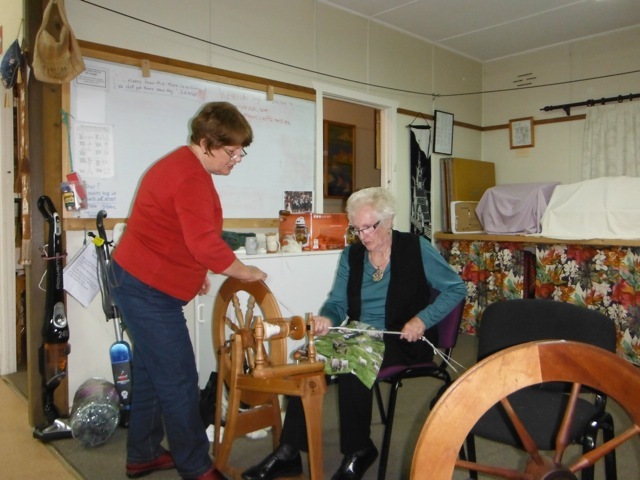 Fran from our Wednesday night group is learning to spin from Jenny. In this photo she is learning how to ply. 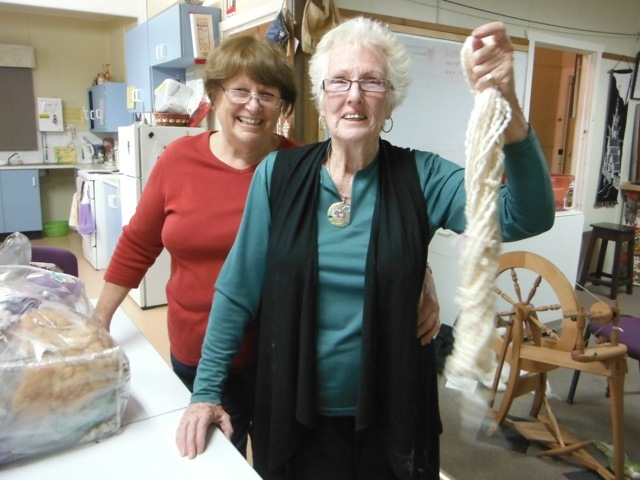 And here is Fran with her first skein. Fabulous Fran. By Lyn A.